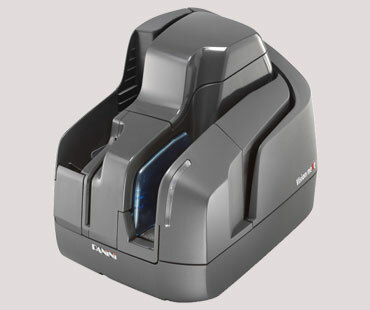 The Panini Vision neXt™ check scanner is transforming way banks do business. It is our total teller automation platform helping banks transform their branches into customer-centric service centers. We’ve added unique features such as our patented auto-alignment mechanism and swing-open covers to the proven reliability for which Panini is known, packaged in a new, compact European design. All of this increases a bank’s productivity, minimizes operator training, and eliminates the need for additional teller devices, lowering operational costs.